Flip open the SpongeBob Square Pants Colorforms® 3-D Deluxe Play Set to enter the world of SpongeBob SquarePants™ and embark on new exiting adventures. 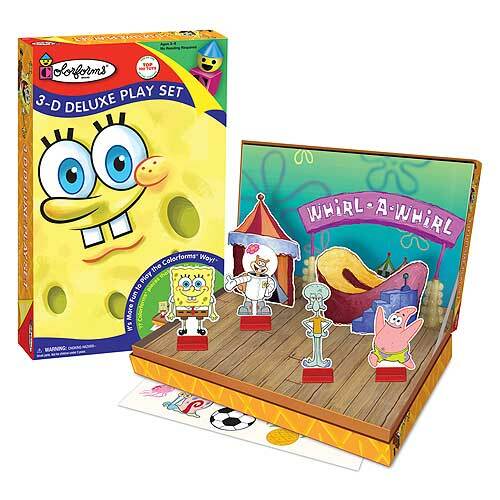 The play set opens to reveal a large 3-D play scene with pop-ups, four play pieces and Colorforms Stick-Ons™ that Stick like Magic!™ Join SpongeBob and his friends on an exhilarating journey. When you are done, just close the top flap. The box holds everything in place until you are ready for a new adventure.